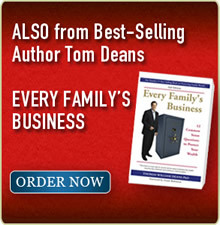 Dr. Deans has been a special guest speaker at hundreds of family meetings in 14 countries. 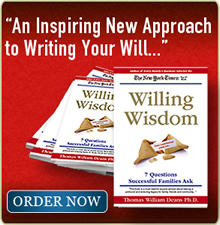 With a family’s trusted advisor(s) present, Dr. Deans shows first-hand how to begin unique and powerful conversations around a client’s transfer of wealth and wisdom using his innovative 7 Questions revealed in his best-selling book Willing Wisdom. Themes: Themes: Themes: Building a Legacy, Preparing Heirs, Dividing Assets, Communication, Collaborative Wills, A Family Built to Last, Supporting Patriarchs and Matriarchs. Releasing The Next Generation’s Potential.